We manufacture high-quality central vacuum cleaners and complement our range of products with a variety of accessories and installation material. Learn more about us and our history. We manufacture high-quality central vacuum cleaners and complement our range of products with a variety of accessories and installation material. We will be happy to assist you with questions to our products. Your health is one of our top priorities! Our central vacuum cleaners assist you to live a healthier life and to run a healthier business. Especially people with asthma and dust allergies appreciate the clean indoor air quality. Better health through better hygiene is the goal of BVC EBS Distribution GmbH. We promise sustainable production and sustainable operation of our products. We produce high quality products made of high quality materials without unnecessary burden on the environment. Our guiding principle is to leave the smallest footprint on the environment as possible. Our expert consultation and planning before installation of a central vacuum cleaning system guarantee a long-term ownership satisfaction. We also provide a reliable after sales service by answering all questions concerning your central vacuum cleaning system. In case of an unexpected problem we react quickly, accurately and unbureaucratic. Profit at any price? That´s not our philosophy! We ensure a long lifetime of our products. Our guarantee packages give you complete confidence. As manufacturer we are involved in all processes from conception to production. With strong partners on our side we can minimize risks and provide great service. 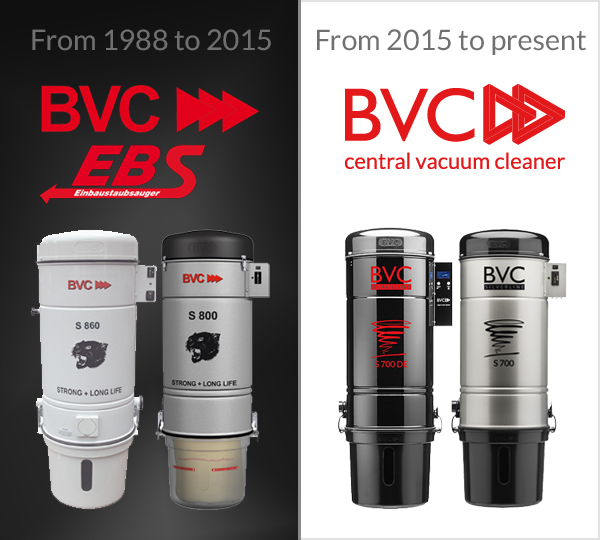 All BVC central vacuum cleaners have been produced in Germany for decades. A good infrastructure, documented and certified production processes as well as long-standing partnerships with our suppliers help us to create quality without any detours. In 1988 the company EBS Einbaustaubsauger GmbH was founded. The company was a general agency for central vacuum cleaners produced by an american manufacturer. In 1992 the company startet producing its own central vacuum cleaners to meet the requirements of the german and european market. EBS Einbaustaubsauger GmbH sold its vacuum cleaning system in Germany. The subsidiary BVC International (Built-in Vacuum Cleaners) delivered the central vacuum cleaners to agents all across the world. In 2015 the CVC range of products was sold to a new owner and increasingly gained momentum. The two companies merged to BVC EBS Distribution GmbH and focused on responding the new customer needs. The central vacuum cleaners have been revised and improved in many respects to offer a high efficient and hygienic cleansing. The powerful and long lasting products are tested for functionality and safety. Electrosuisse, the Association for Electrical Engineering, Power and Information Technologies certifies the conformity of the product with the standards.